For millions of Americans, one of the most frustrating parts of every workday is the traffic-clogged slog they face on their daily commutes. Stuck in a massive traffic jam, a delighted Sonata driver sings along to one of the world’s most beloved karaoke songs and unites with another happy Sonata owner among several angst-ridden drivers on the road. The new Sonata 2.0T is prominently featured and showcases how its captivating new design stands out in the sea of vehicles it shares the road with during a typical stop-and-go commute. 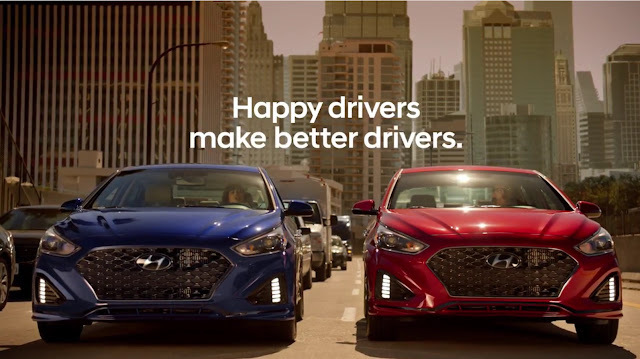 The all-new Sonata is another act of Hyundai being a better car company and dedicated to making their drivers’ lives better,” added Eric Springer, CCO, INNOCEAN.